Fenghuang Qingheju Inn features simply-furnished accommodation. The property offers free WiFi in all areas. Former Residence of Shen Congwen is less than 600 metres away. It takes 4 minutes on foot to Fenghuang Tuotian Coach Station. 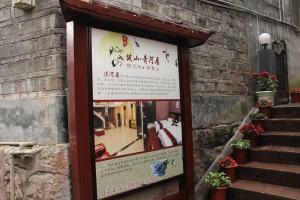 Each room at Fenghuang Qingheju Inn has a flat-screen TV and an electric kettle. The private bathroom includes a shower, a hairdryer, towels, slippers and free toiletries. Luggage can be stored at the reception. A number of restaurants can also be found near the property within 200 metres.